Southeastern Pennsylvania can experience some hot and humid summer months that leave you feeling drained. Save yourself and your family from that uncomfortable feeling by scheduling an air conditioning appointment with AQM today. With over 25 years of experience, our home comfort specialists will work quickly and accurately to ensure that your A/C unit is ready to run come summer time. Installing a programmable digital thermostat may be the easiest and least expensive way to save energy (as much as 10%) and make your home or business more comfortable at the same time. In as little as an hour or so, a programmable thermostat can easily be installed in your home or business and programmed. In most cases, the existing electrical wiring can be adapted to your new programmable thermostat. 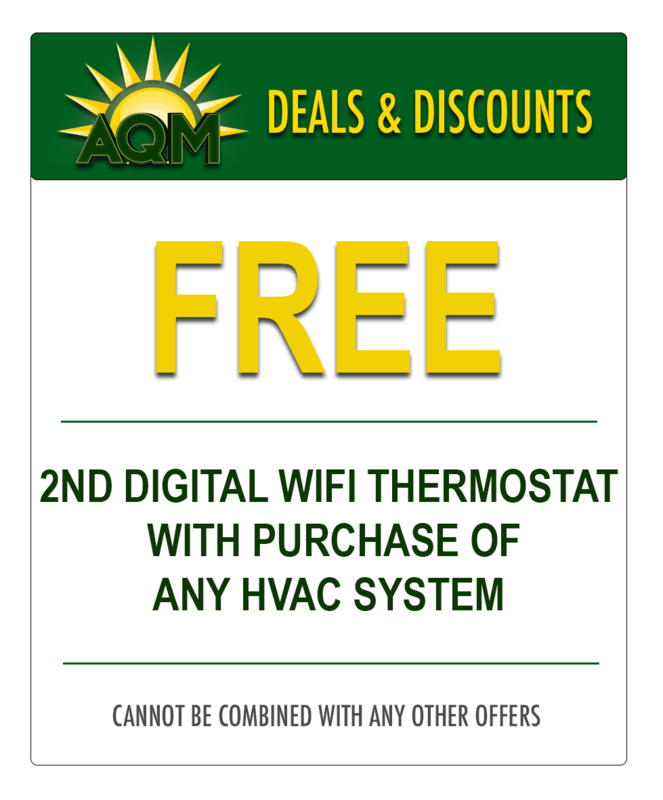 Every AQM technician is trained to install and program most makes and models of programmable thermostats. AQM offers many different models of programmable thermostats, and has several types in stock on every service vehicle to ensure a good fit for almost any home or business application. The air in your home or business may be over 20 times worse than the air just outside it. Normally, this is the result of neglecting the interior of our forced air ducts and the coils in our HVAC systems. A professional cleaning of both will enhance the cleanliness of your home or business, and provide you with cleaner air to breathe. 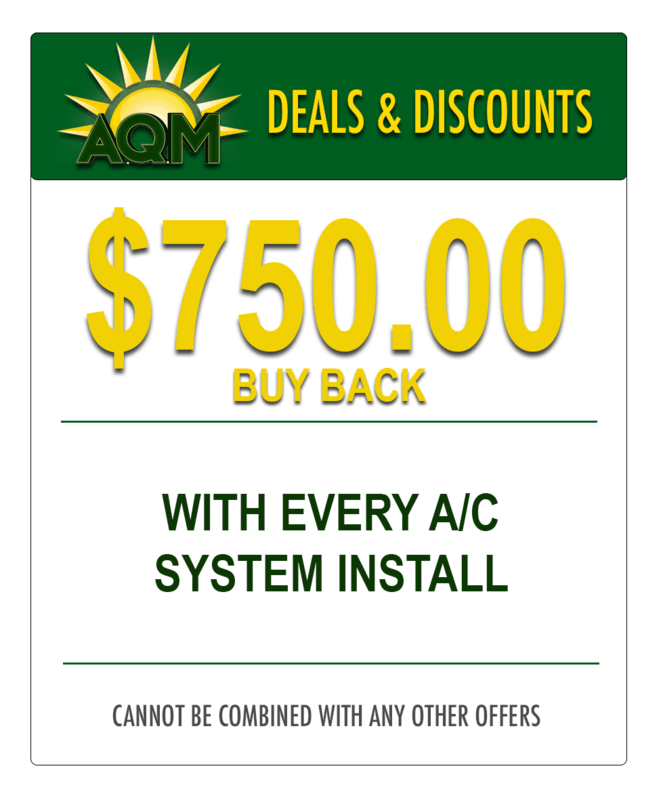 AQM provides several yearly maintenance plans that will keep your Air Conditioning operating at peak performance and up to date. Starting at just $197.95/year, our A/C maintenance plans are affordable, can improve your system’s dependability and can increase it’s heating and cooling capacity. Why Perform Planned Maintenance on Your Air Conditioning System? Proper routine maintenance on your central air conditioning system will always include a detailed efficiency and performance check. System components are checked, and changed if necessary. The filters in your central air conditioning system should either be cleaned or replaced as part of this routine maintenance, and the electrical components should be checked for accuracy. The thermostat should also be programmed and checked. AQM is a leader in service and repair agreements in the Chester County area, and offers several plans from routine service and maintenance to any needed repairs. If your air conditioning system needs routine maintenance or periodic service, please schedule a service appointment with one of our qualified air conditioning technicians, or view our service & repair agreements to get more information about our money-saving plans.